Off-highway vehicles (OHV) riding in Minnesota is a growing recreational pastime and Itasca County offers thousands of acres of public and industrial land open to OHV’s. Forest and logging roads take riders through beautiful and secluded areas of the county that are not easily accessible by any other means. However, keep in mind that all lands open to OHVs have rules that govern their use so make sure you know the rules of the road wherever you ride! 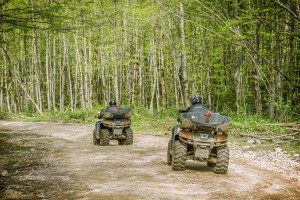 Can Snowmobile Trails Be Used By ATVs? Most snowmobile trails are not designated for ATV or other off-highway vehicle use because many cross private property under a conditional use easement that is specific to winter travel and still other snowmobile trails cross swampland that is not designated for ATV or off-highway vehicle use. As with any Minnesota trail system, our access to public and private land is a priviledge. By respecting the land, caring for the environment and adhering to all postings and rules you can do your part to ensure continued access to Minnesota’s nature for all! Off-highway vehicles (OHVs) include all-terrain vehicles (ATVs), off-highway motorcycles (OHMs) and off-road vehicles (ORVs), such as 4x4s. OHVs are generally permitted on state forest roads and trails in accordance with state forest motor vehicle use classifications and regulations. Do I Need a Permit To Ride An ATV or OHM? 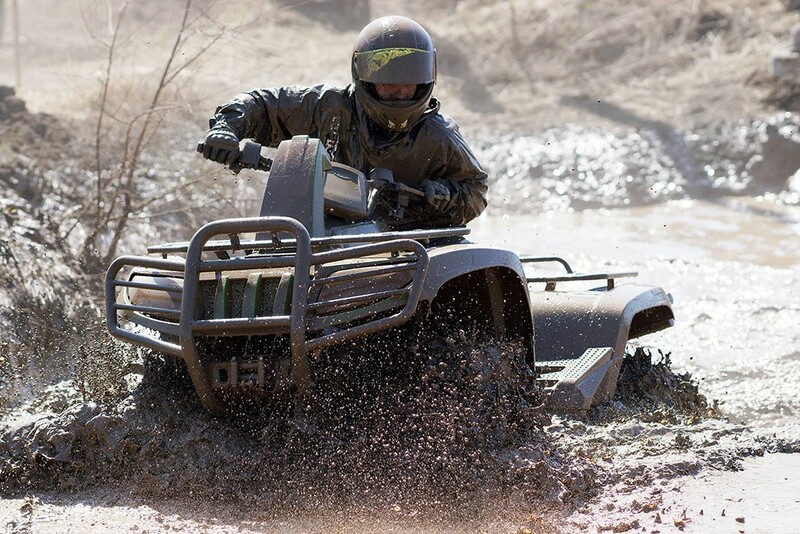 Safety training is recommended for everyone that operates an OHV. ATV/OHM safety training is available to anyone 11 or older. 10 and 11 year olds may operate 90cc or less on public lands with a parent or guardian. 12-15 year olds are required to complete MN ATV/OHM Safety Online Class and complete a hands on ATV class. Anyone born after July 1, 1987, who is 16 or older, is required to complete online MN ATV/OHM Safety online class before operating an ATV on public lands, frozen waters, public road rights-of-way, or state or grant- in-aid trails. What if I Am An Out Of State ATV/OHV Rider? All non-residents wishing to ride on state or grant-in-aid trails must purchase a non-resident trail pass. ExploreMinnesota.com – more trail information!